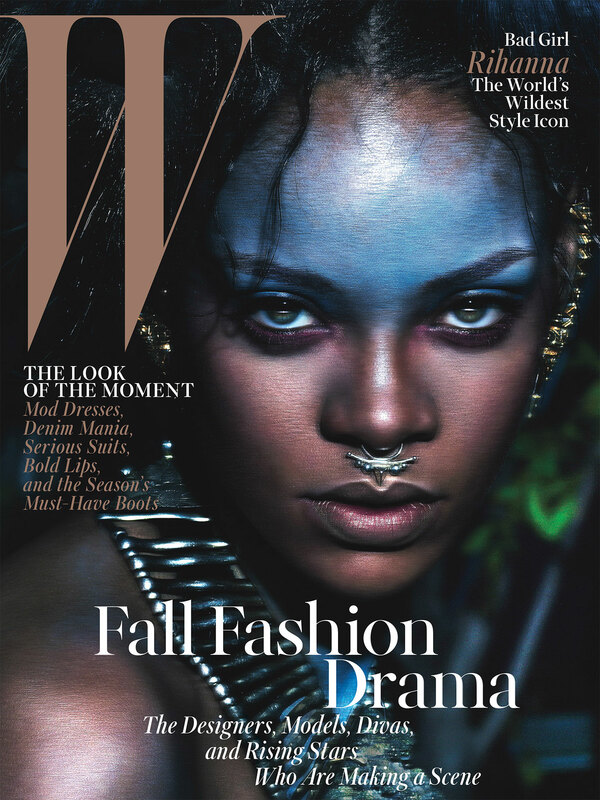 Rihanna, fashion’s wildest child, who proves time and again that rules are meant to be broken, graces the cover of W’s September 2014 issue. “Rihanna came [to the shoot] with her own mental mood board, channeling the power of Grace Jones and the sophistication of Josephine Baker,” writes editor-in-chief Stefano Tonchi. The singer, who no longer has an Instagram account to serve as her inspirational outlet, was eager to let loose with fur, wild make up, and extravagant accessories for W..
She is def a wild child!!! Reblogged this on THE OFFICIAL NIKKI BABIE BLOG.